​I live roughly three miles from three local movie theaters. The one still showing Spotlight is the oldest and smallest Among them. My drive home lasts all of ten minutes and it wasn’t until I was about one minute from home that I realized I was griping my steering wheel furiously and there was no music playing through the stereo in my car. I had driven home in silence, digesting what I had just seen. Making newspaper journalism riveting is not an easy task. I often sit and ponder what Michael Bay would do if he were handed a script like Spotlight? Would he even read it? There are no explosions, no sudden slips of fate and definitely no high speed chases. Instead, Spotlight is a cinematic masterpiece crafted by talented actors and superb writing. 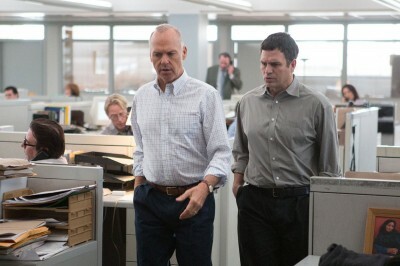 Spotlight tells the troubling story of the Archdiocese’s cover up of sexual abuse in the church over the course of several decades. Instead of following the story itself, Josh Singer and Tom McCarthy told the story through the lens of the Boston Globe reporters that broke the story back in 2002. McCarthy’s claim to fame as a writer is for Pixar’s UP and this is the first major film for Singer who comes from the television drama world. The two teamed up to write and direct a film that has gained incredible accolades heading into the Academy Awards. One year after Birdman, Michael Keaton returns with another impact performance and he’s not alone. Hollywood darlings Rachel McAdams and Mark Ruffalo join heavy hitters like John Slattery, Liev Schreiber and Stanley Tucci to create one of the deepest casts in recent memory. An important aspect of storytelling comes into play with a movie like this. Pacing. The pace of this film is on point. It doesn’t drag and it doesn’t rush. From the very first scene to the last, you feel as if you’re seeing things exactly when you’re supposed to. That’s a credit to the writing. Most people will likely see this movie a year from now when it’s on Netflix but for those of you living near a theater lucky enough to still have Spotlight in the rotation, take a trip to go see it. 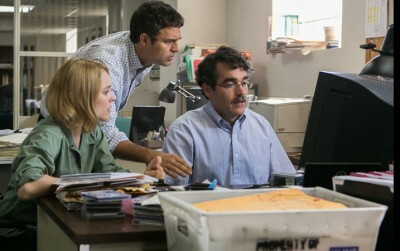 Nominated for six Academy Awards, Spotlight is considered a dark horse candidate at best. Ruffalo and McAdams both received nominations for actors in supporting roles and the writers and director also received nominations. It’s highly unlikely that Spotlight will take the nights top award but from my chair, this has been the class of the 2015 movie season.